With the arrival of Spring, we’re going to start seeing a lot of ‘for sale’ signs popping up so I figured it would be a great time to whip together a colour scheme that suits my fellow neutral-lovers, as well as anyone looking to neutralize their home for resale. 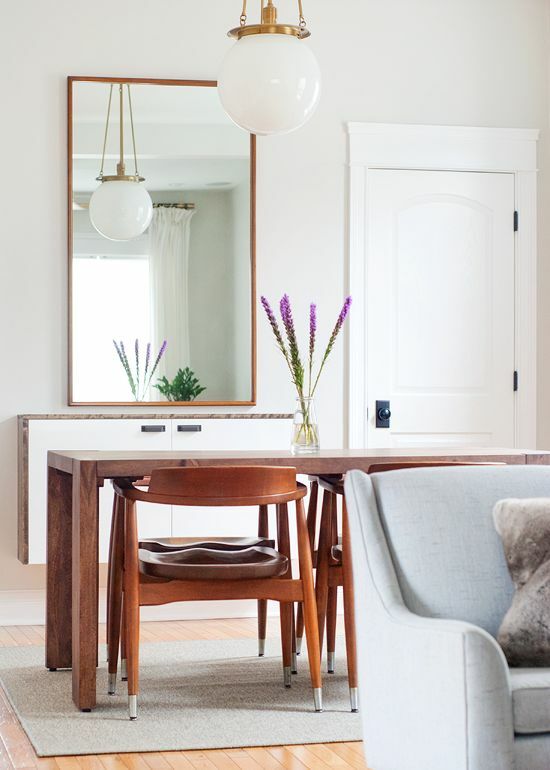 Neutral doesn’t have to be boring – in fact, neutral is now soft off-whites and creamy grays that create a really calming and classic backdrop for your home allowing your furniture and accents to become the focal points. Lately I’ve begun exploring colours other than my top 15 go-to. I encourage all my neutral loving clients to keep their ‘base colour’ soft and airy, and bring a bit of depth into their dining rooms or living rooms as those spaces are generally a more intimate setting that crave warmth. with the smallest slightest most distant touch of gray. If you’re looking for that all white look, I recommend doing the washable matte on your walls, and distant gray also on the trim but in a satin finish. 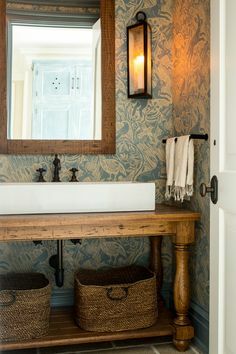 Steam is a really muddy off-white that pairs beautifully with grayed out taupes and beiges. 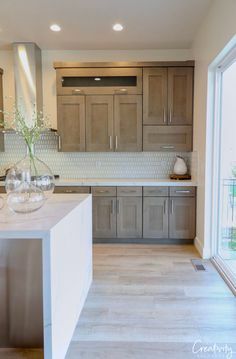 For a cabinetry colour, it blends with warm neutrals creating a softer contrast rather than a stark difference from cabinet to wall. This nursery from Oh She Glows beautifully shows the versatility of Barren Plain. but it also is the perfect mid-tone gray for a main living space. Nightingale is my ideal soothing gray; it’s not too industrial or too charcoal, but is instead has a really soft mauve kick. This office space from Lilu Interiors shows it in the way that I would reccomend using it: a bedroom, office, or living room – anywhere cozy that doesn’t need to be kept light and fresh. Intense White is really not a white at all, and it’s also not intense! It’s a soft, warm touch of gray that still feels fresh and welcoming. 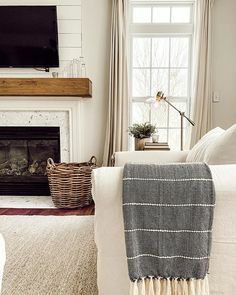 This photo from Yellow Brick Home shows it in a more contemporary space, but it’s a colour that would work great in a traditional home as well. 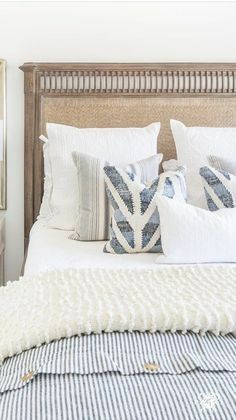 Chantilly Lace, used on the trim in the above photo from Kate Jackson Design, is a great white for being just that: white. It’s a true white without being stark or cold. With no crazy undertones it looks great with the whites we’re putting on our walls as it still creates a clean contrast because of its crispness. Have you used any of these colours in your space yet?